that SEO terms often have a different definition than the same terms related to internet practices. but for SEO purposes the “age” clock starts when a site is cached by a search engine. a search engine to determine rankings. The Google Algorithm uses up to 200 different factors to determine web rankings. this is a reference to Google Analytics, a free way to measure your site traffic. Other analytics programs include ClickTracks, WebTrends, and Omniture. of your own links, and a search in Yahoo under link:yourcompetitorsitehere.com will tell you how many links Yahoo is listing for that site. severe search engine penalty that takes you completely out of the index. Normally caused by using black hat techniques. to search engine optimization, a technique that is unethical in the eyes of a search engine, and can get you de-listed. negatively affect search engine rankings over time. Most often measured using Google Analytics. until the site gets re-cached and re-indexed. To see your cache in Google, type in cache: followed by your website. website readable to the search engine. Usually this is in reference to the body text on your pages. results in an action being completed by the user. This can be a form fill-out, purchase, or phone call. divided by the number of visitors. Higher conversion rates are always preferred. In Google Analytics, this can be considered “Goal” conversion. a robot) content get visited more often. Pages with higher PageRank also get visited more often. a brief description of the page’s content. All description tags on a site should be unique, and less than 256 characters. own site. Non-original content is generally ignored by search engines, and referred to as a “duplicate content penalty” when it impacts your site. Duplicate content is often cached but not presented in normal search results. A link to another site or online resource from your site. An XML sitemap that lists pages on your website that you want Google to find. The same protocol is used by Yahoo and MSN. Several sources online will create a sitemap for you. Not to be confused with a sitemap that lists all the pages on your website. in search engine ranking for a number of possible reasons. Filters are different than penalties, in that when the item tripping the “filter” is removed, then results should bounce back. for some time before the cached results are applied to the index. pages link to each other is known as Navigation. from picking a “best” page for the keyword, so multiple pages may have lower positions that a single page devoted to the topic. Using multiple keyword repetition on a web page. Search engines prefer text and keyword use that is more readable and user-friendly. Any tool that helps determine keyword demand. Wordtracker and the Google Keyword Tool are two popular sources. have more “link juice” than the same page a link to you among 49 other links. Link Juice Illustrated. In the world of SEO, “links” is most commonly a way of referring to inbound links to your website, given that Google bases a great deal of its rankings on other sites that link to yours. The value of links is highly variable, and links from sites trusted by search engines are more powerful than links from low quality sites. themselves be getting good inbound links. A keyword that contains a long search phrase. Long tail keywords usually have a lower search volume but a higher conversion rate, because the people who type them in have a very specific idea about what they want. but metatags can contain many different fields of data not important to search engines. to allow people to get to other pages. Search engines like to follow navigation and use it to determine the relative importance of pages on a site. numbers may require millions of links. This can be found using the Google Toolbar. that determines part of how links impact rankings. Paid search engine advertisements that appear next to search results. PPC can be very expensive, but can be executed within hours, while SEO can take months. by breaking one or more “rules” of search engine ethics. A search engine “filter” is a less strict penalty, but a “penalty” can be applied for a longer time period and is generally a sign that you are believed to be deliberately violating webmaster guidelines for search engines. A keyword position on a search engine, anywhere from #1 to somewhere in the billions. Usually you want your site to show on the first page for your keywords. Ranking Report – A listing that shows positions on search engines (usually Google, MSN/Bing, and Yahoo) for a list of preferred keywords. Monthly ranking reports will show you your progress over time. A request to a search engine that a site be reexamined for inclusion back into listings. This is most commonly done when a site has been penalized or banned. such a way that the engine can understand its relevance. An automated program that visits your website. Robots.txt – A file on your website that can either allow robots or restrict them. Robots files can be useful when you want duplicate pages to be ignored, or search engines are crawling unnecessary pages. to get out of the “sandbox” by being relevant, but customers with new sites are still advised that search engines may take some time to show good rankings. indicates a competitive keyword which may be more profitable. Essentially a search engine robot that “crawls” your website for information. SEM – Search Engine Marketing. This most often refers to Pay-Per-Click initiatives, but can also include SEO as part of an online marketing strategy. SEO – Search Engine Optimization, or the practice of getting websites ranked on search engines through a variety of specialized methods. Page. The list of websites that you get when you make a search on a search engine. by structuring similar items into easily navigated categories. This benefits search engines and site users. Spam is not junk email but site content and linking practices that are keyword stuffed, automated, or created to get undeserved rankings for search terms. in a search engine would not need to be re-submitted. all other factors are good. sees the website, if there are any problems, and if the site is penalized. Highly recommended to any webmaster. may be added or edited later. WordPress Web Design is in high demand now! We design, develop and manage WordPress websites. WordPress was traditionally a blog system, but now it’s become a full simple CMS-like system! We love to work with WordPress. It’s perfect for the many types of small business or any organization that wants to easily edit their own website. The BoholWebDesign.com website blog is powered by WordPress. We offer Custom Web Design for anyone wanting to edit their own custom web site easily. Search engine submission, up to 10 major search engines Foreign and domestic. Page design up to 10 pages! Mobile Phone and Tablet Friendly! For A Limited Time – 1 Year FREE HOSTING! If you have a business, any kind of business and your your interested in increasing your revenue and customer base CONTACT US HERE! After your web site is complete, you will easily be able to make changes and updates yourself to your new website. Everything from writing news articles, uploading photos, adding pages, changing prices, or adding gallery’s to your website. This can be done quickly and easily through the one admin panel and no special software is required. My WordPress Sites are also optimized for Google Yahoo Bing and many other search engines assuring you high rankings in all search engines. WordPress is also PDA compatible which means that your customers can easily see your site in any Cell Phone or IPhone. This is a great platform to generate loads of traffic to your site with little effort. 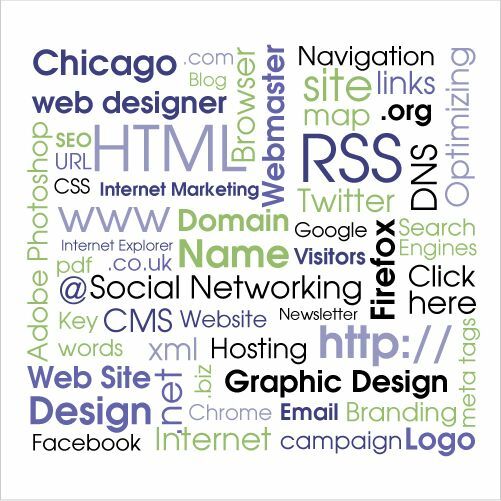 Below are some websites and web tools we have stumbled across and use daily that may interest you, and help you with the promotion of your website. See what the world is searching for! Looking For Drivers? Driver Packs for all hardware! Check The Links In Your Web Site – W3C LinkCheck! If you have any sites to ad to this list please leave a comment below, we would love to hear from you! If you havent heard of CoolIris 3D Photo Gallery then your missing out! This is one of the best photo gallerys i have had the pleasure of gracing the pages of this site and others i have built. Cooliris is an awesome browser and WordPress plugin that lets you display your images and at the same time search and browse for images and videos from Flickr, YouTube, and a handful of other networks. To get the full efect of this powerfull but easy to set up photogallery you have to download the plugin Here. I have set up a gallery on this page so you can check it out for yourself. Dont forget to download the plugin…..
[Click to View with PicLens] link. Why Are People Using Ecommerce and WordPress Together? Is WordPress the best platform to use for Ecommerce….? Well the poles say not too good for the new e-commerce plugin for WordPress …so we installed an e-commerce WordPress site here…lets see if you like it? we did….. In checking this platform out…i find it to be stable and easy for a customer to ad products. Larger shops should go with oscommerce. I had some time time to fiddle with this and added another product but i found that even tho the images were in the right place on the server the images didn’t pull up when clicked….strange …. i haven’t found the cause for this as i did check the chmod on the folder and its at 755 which is correct. hmmmmmmmm anyone have an idea?